* * * Iran men's national football team, domestically known as Team Melli, has maintained its position as the best Asian squad in the latest edition of FIFA rankings, and stays put in the world’s 29th spot. According to the latest monthly rankings released by the world’s soccer governing body on Thursday, the Iranian squad accumulated 816 points and defended the title as the top soccer outfit in Asia. Other Asian teams included South Korea, which upheld its position and claimed the 37th slot in the latest FIFA rankings with 699 points. The Taegeuk Warriors were followed by Australia’s Socceroos and the Japanese Samurai Blue, who tallied 649 and 644 points respectively to sit in the 44th and 46th spots. 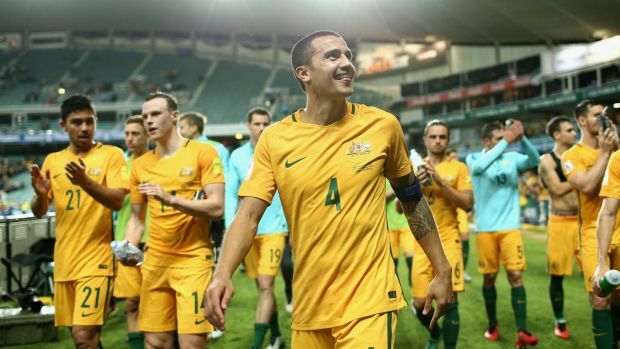 Socceroos climbed one position in the January 2017 edition of FIFA rankings, while the Samurai Blue plunged one place. Argentina remains the top-ranked soccer team in the world, with 1,634 points. Brazil earned 1,544 points to sit in the second position while third-place Germany racked up 1,433 points. Chile stands fourth with 1,404 points.